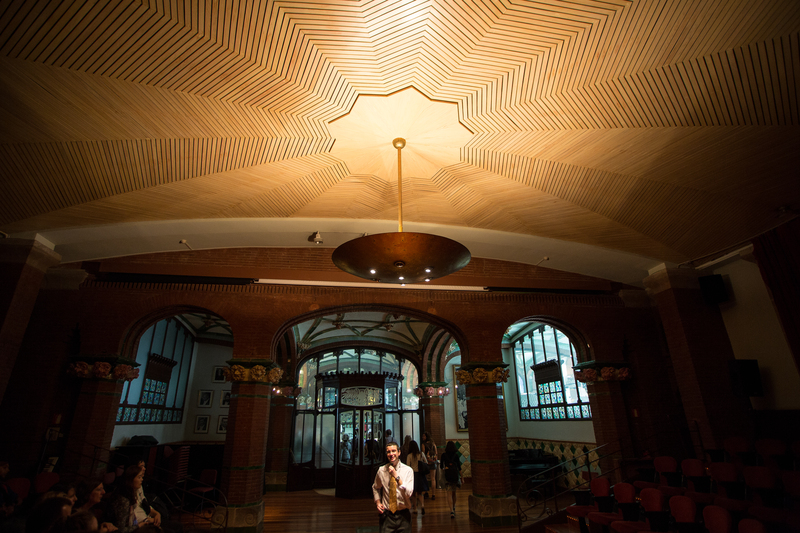 The Palau de la Música Catalana was built between 1905 and 1908 by the architect Lluis Domènech i Montaner, a contemporary of Antonin Gaudí who was also a politician and writer. This, his masterpiece, is a stunning and intricate work of art. 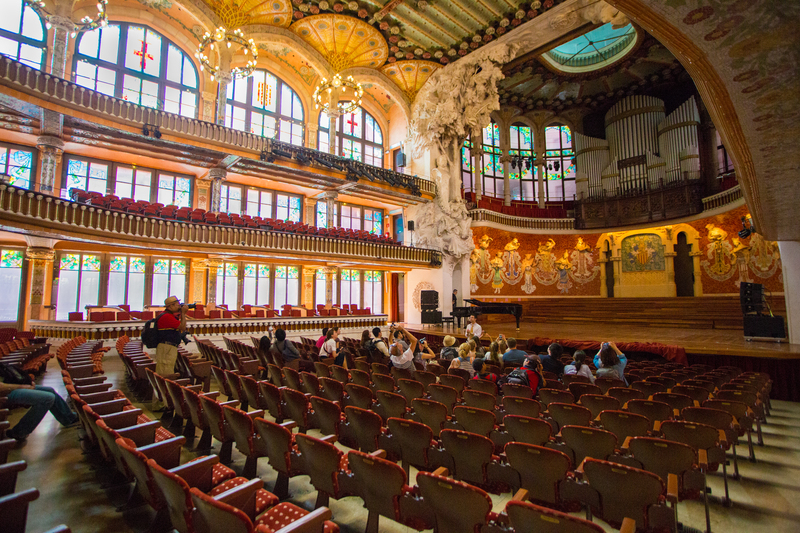 It is as if the main concert hall were made of precious jewels. Domènech i Montaner wanted it to be perceived as a “box of light” and as a “garden with no night”. 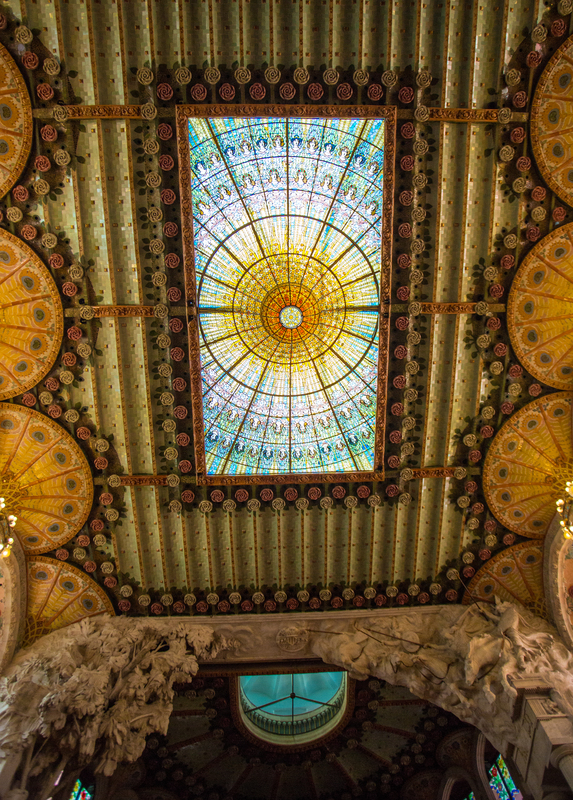 His focus – the focus of Modernisme – is on light, nature, and God. He drew every sculpture himself. 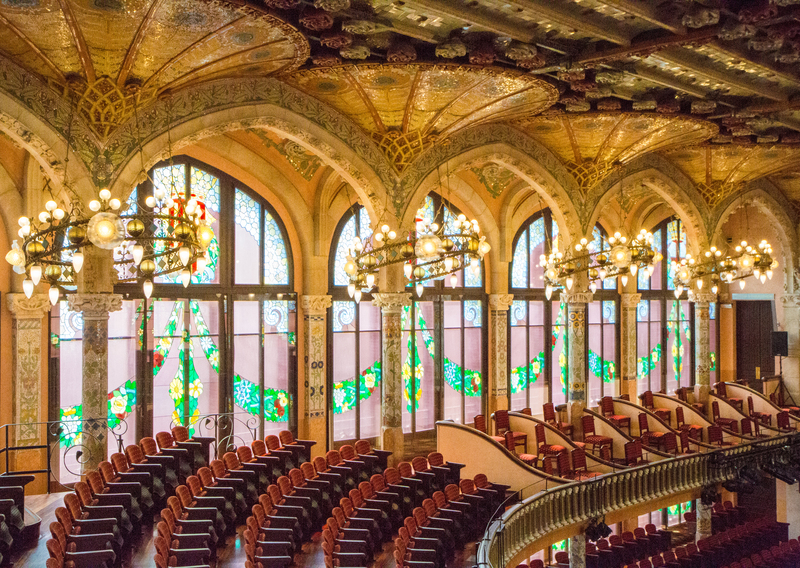 Prominent in many of the windows of the main concert hall is the red cross, the symbol of St. George, of dragon-slaying fame, who is the patron saint of Barcelona. All designs were meant to be harmonious and reminiscent of nature. There are lights which have been placed on a slant to represent flowers turning toward the sun. There is sculptural flora everywhere. 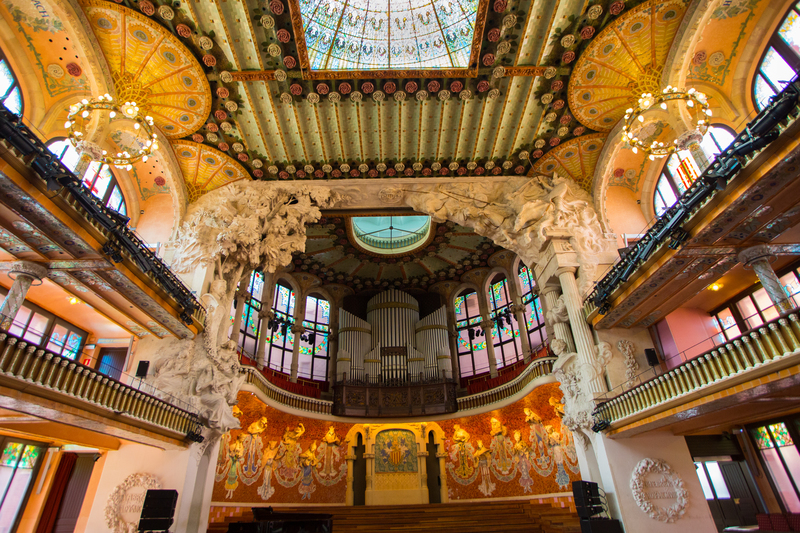 The message and mission of the Palau is that “music is universal.” On the walls of the stage there are sculptures of muses playing different instruments from around the world symbolizing the inclusiveness and universality of music. 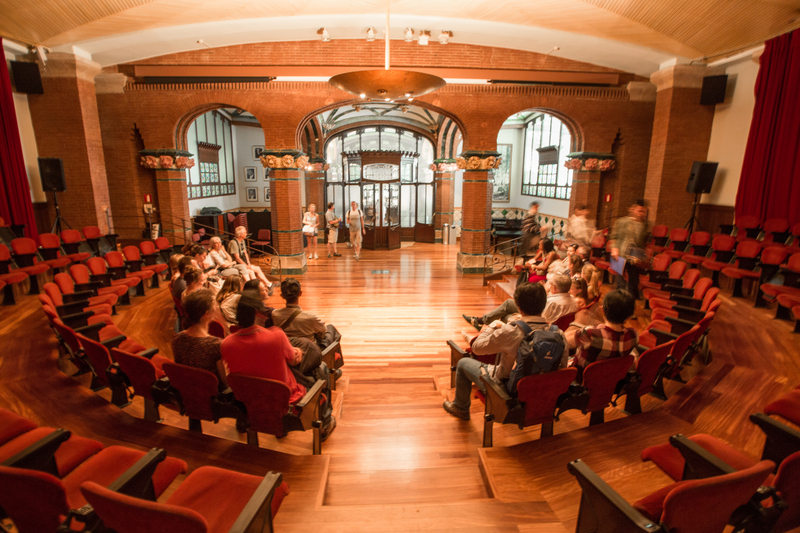 The Palau started as a performance hall for the Orfeo Choir and still houses a choir school. There is a massive pipe organ brought here from Germany in 1908. It has 3372 pipes and a few years back was in serious need of refurbishment. To pay for the project, the Palau created an “Adopt a Pipe” program to bring in funds! 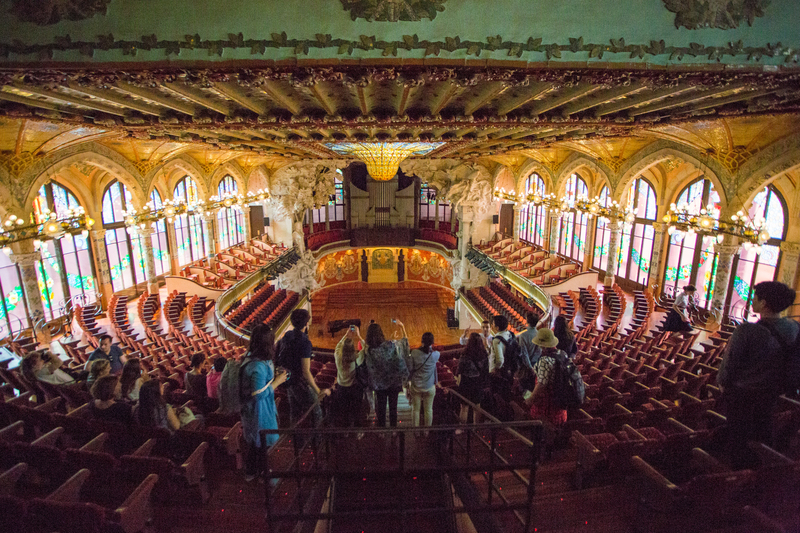 And, as we toured the balcony, we were treated to a mini organ concert! 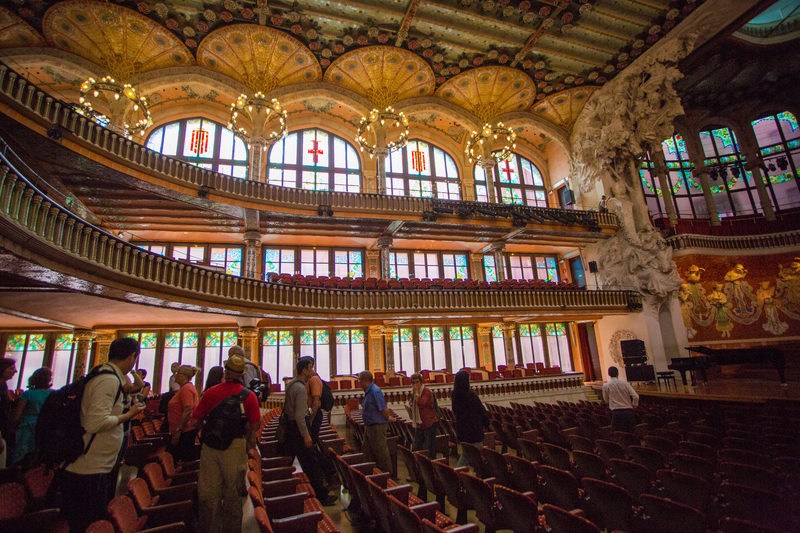 We heard firsthand what an impressive set of pipes the Palau has! The hall can seat 2146 people. 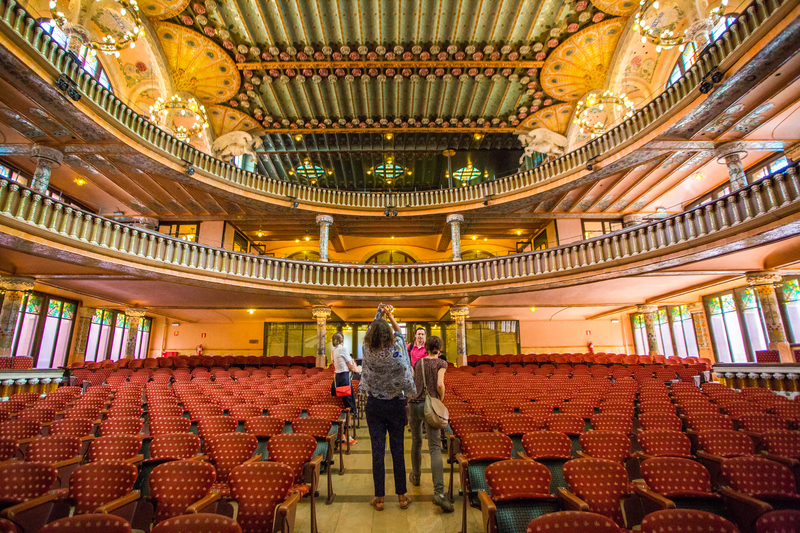 I can’t wait to come back for a concert and fill one of those seats!